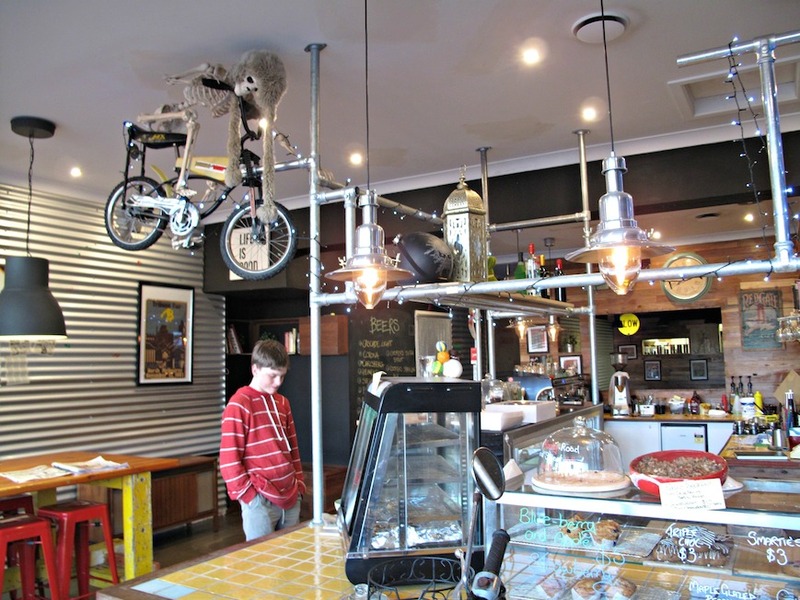 The shopping strip on Rosamond Rd near the bowling club and approaching Highpoint has never particularly drawn the attention of Consider The Sauce – even when a couple of cafes opened up there about a year ago. That all changes upon us learning that one of those joints is now operating as a BBQ place – we’re there within hours. Mind you, as always with American-style food in Melbourne we keep our hopes and expectations in check. 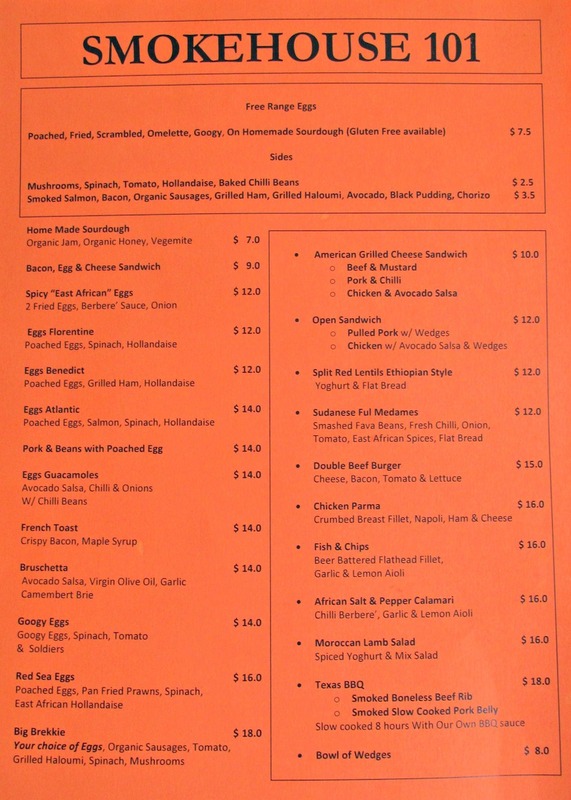 Our optimism is hardly given a boost upon entering, perusing the menu and ordering. 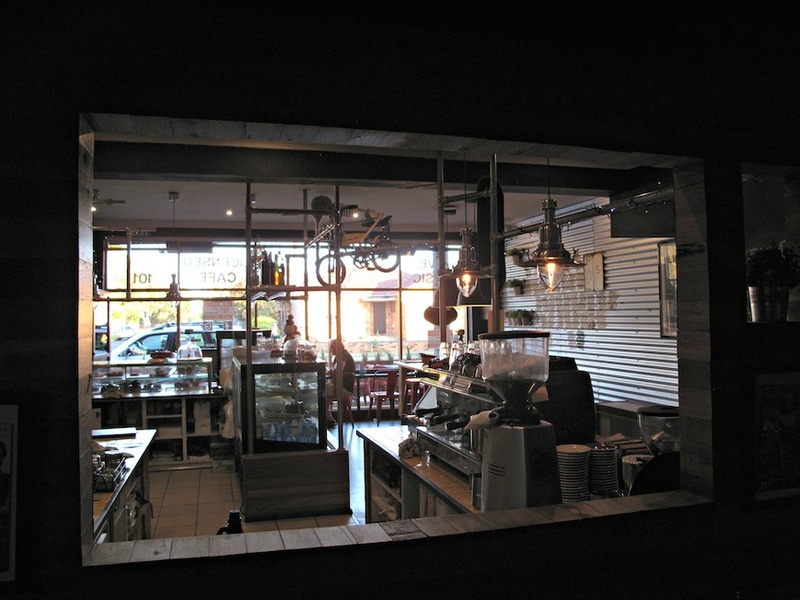 Smokehouse 101 may be operating as a BBQ purveyor but to a significant degree it still looks and feel like a cafe, with only a single person – the boss – on the job. Is this for real, we wonder? Will the meat be any good? Are we on a fools’ errand? 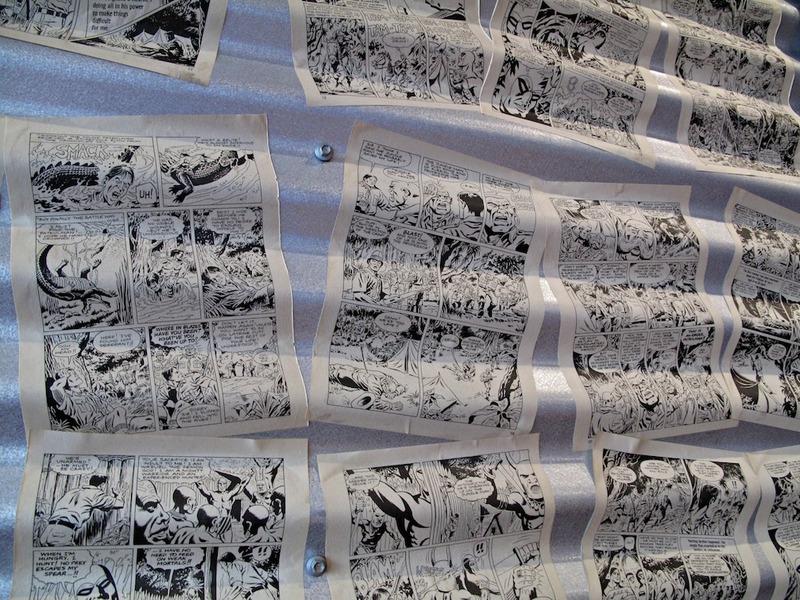 Bennie is impressed that the walls are widely plastered with covers and pages from vintage Phantom comics. 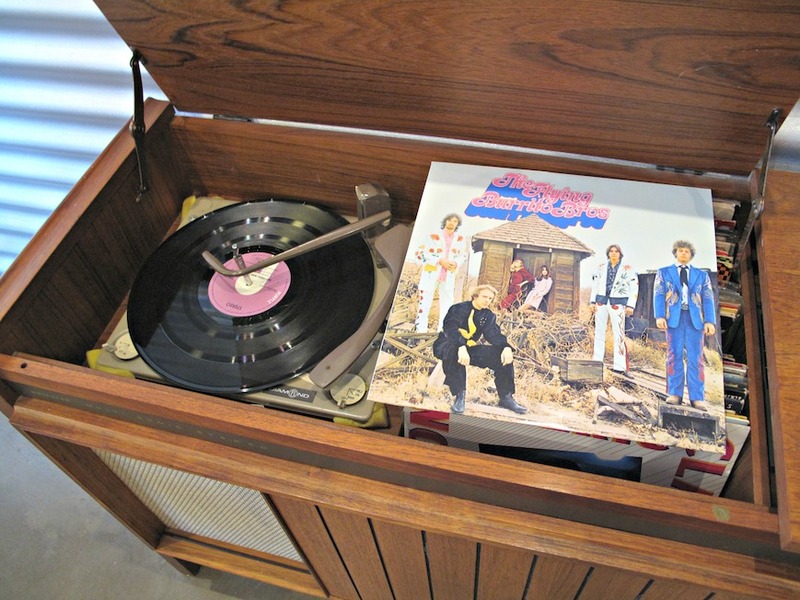 His dad hears on the sound system, among others, the Memphis Jug Band and Howlin’ Wolf. 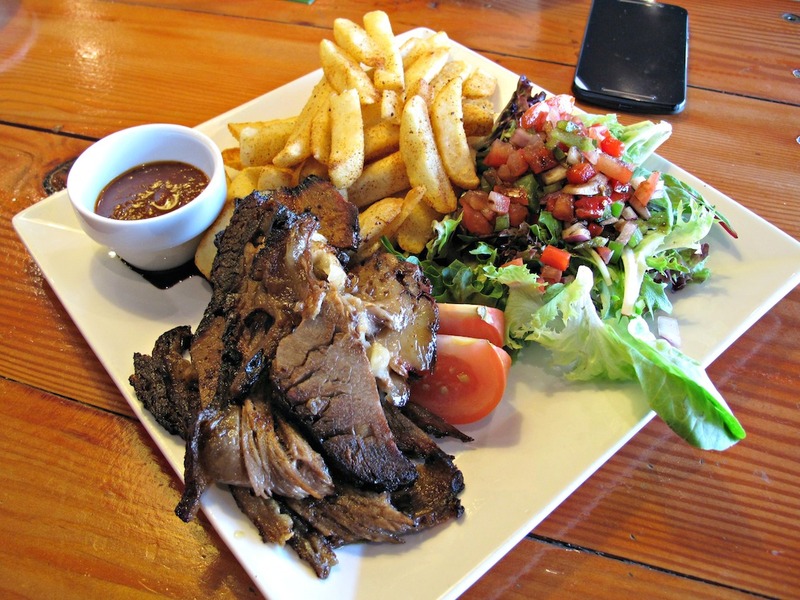 As ever, we are a little wary of high prices for ribs (three kinds ranging in price from $28 to $35), so go for the brisket and pulled pork, $25 each with chips and salad. When our meals arrive – and we have our first taste of the Smokehouse 101 goodies – we relax, enjoy and realise we’ve done real good. The plentiful chips are fine. The meat is way better – as good as any we’ve had around town. The brisket has its share of fat but is beaut – smoky and a mix a fall-apart tender and chewy. The serve size is generous and good for the price. The housemade sauce is not particularly spicy but has a nice tang to it that has a citrus feel and maybe even an Asian touch. 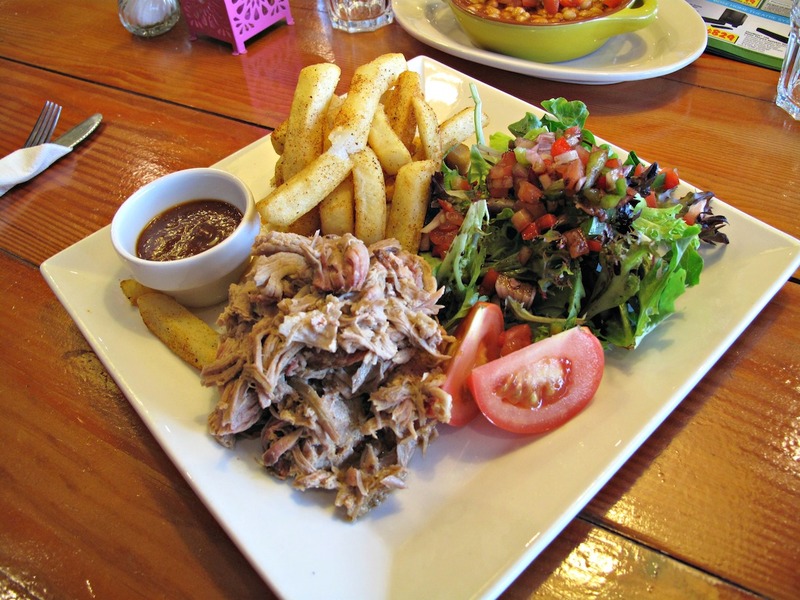 Pulled pork is such a cliched part of the BBQ tradition, but we’ve found quite a few versions we’ve tried in Melbourne to be insipid and tasteless. This one has porky flavour aplenty, though it does benefit from the addition of that same sauce. It, too, is a good-sized serve – something the above photograph disguises somewhat. 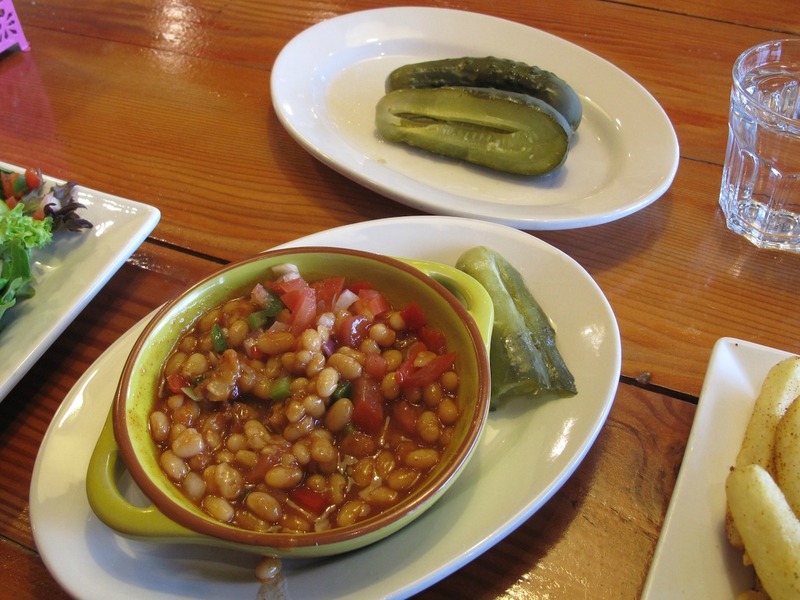 “Baked chilli beans” ($2.50, from the breakfast menu) do suitable duty as an accompaniment even if we’re pretty sure they come from a can, while two extra large commercial pickles ($2) are excellent. We’ve been surprised and delighted by our dinner. 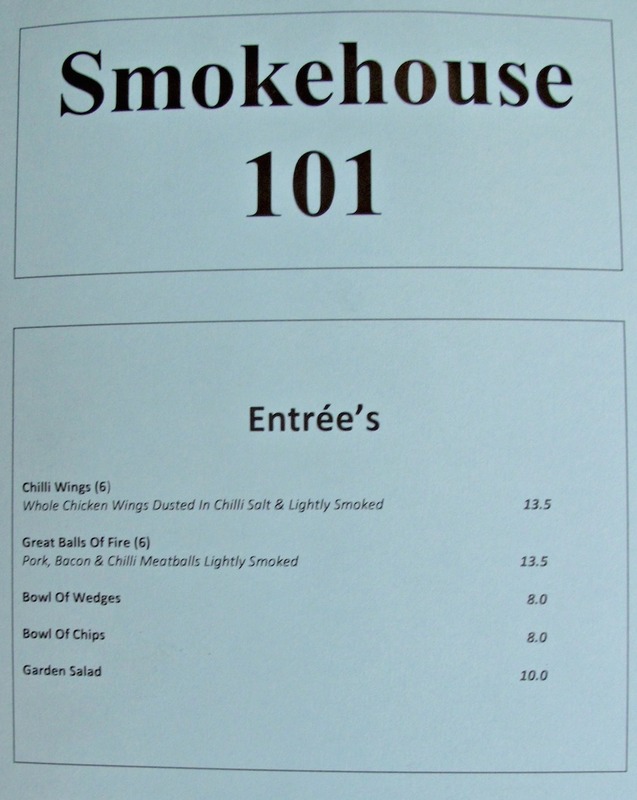 Smokehouse 101 is still in the transition from cafe to BBQ joint. 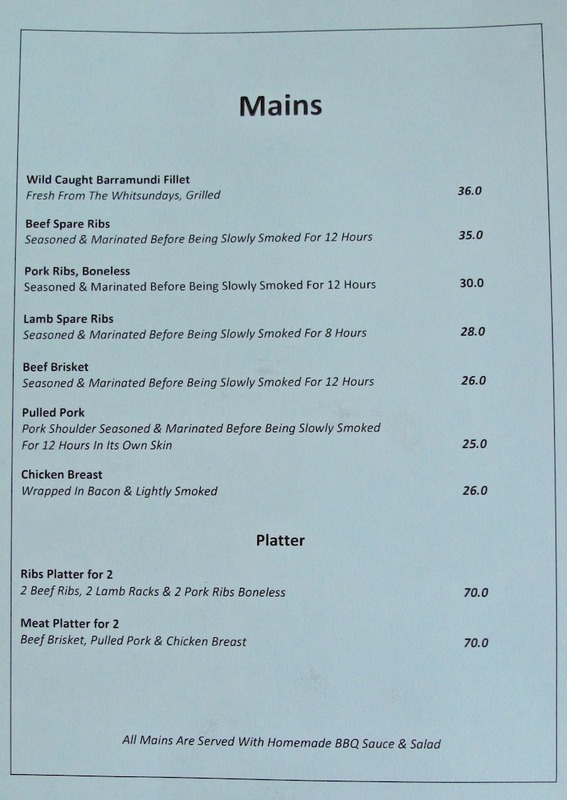 We’re told the menus we photograph (see below) will within days be replaced by new versions offering more depth and diversity of BBQ choices. We like that this place has a casual vibe a long way removed from some of the trendier, ostensibly hipper BBQ places around town. Ironically, in some ways that makes it more like the regular blue-collar BBQ places you might find in burgs throughout the US south. We would, however, suggest replacing the non-memorable salad with coleslaw. As we very happily depart, we spy one of the only other two customers in the place getting to grips with a serve of ribs – though we don’t know what kind they are. Oh boy, there’s a LOT of ribs on his plate! And the gentleman concerned confesses he’ll be struggling to finish the job at hand. As we walk to the car, Bennie opines that the ribs deal we’ve just seen looks like it could do for two. That’s for us next time … which we suspect will be soonish. Smokehouse 101 is still finding its feet, but we totally dig the idea of having a friendly, casual BBQ place right in our own neighbourhood. This is one of those very rare times we are tempted to keep our mouths shut and not post on CTS in case the word gets out too quickly. Hi Jane! No, not yet … still finding its feet, I think. And $25 is quite a lot cheaper than Third Wave. And it’s local! I’ll put it in the diary for a January visit, I reckon! If they are licensed how about you publish the drinks list? Hi Pablo! Will take care of it next time we visit. Hey this is in the cafe that was there. Is it the same owners doing a rejig of their business? Can’t recall what the cafe was called. Found the service to be a bit second rate. Hi Column! Yes it’s one of the cafes but definitely new management. We found the service casual and low-key but fine and friendly. Yes ts the same owners and the same tired staff I am afraid. I tried it last night with two friends. We had the brisket and pulled pork. Rather mean serves of meat for the price, soggy chips and barely dressed salad. Definitely not worth the money. My partner was there this afternoon. He tells me his coffee was first rate, and although the American Grilled Cheese sandwich was big (presumably that’s the American part?) he sent it back after just two bites as it tasted far too oily/greasy. His summary? Go for the coffee but eat elsewhere. To be fair, they didnt charge him for the sandwich. Hi Rosie! We, too, had the pulled pork and brisket. Mean serves? Well, they weren’t huge … but we’re well used to that being the case when it comes to BBQ in Melbourne. We loved our chips. We thought out meat was real fine, the sauce, too. And pretty good value in terms of comparison with similar food around Melbourne. The salad, as noted above, was forgettable. Folks should not hit Smokehouse 101 expecting on-the-ball, snappy restaurant service, lots of finesse, terrific “plating” and all that. It’s just not that sort of place – and that’s fine by us. The boss is new for sure. Sorry about your meal! FWIW, I asked Bennie to read this post and tell me if I’ve made it sound better than it was. He said “nope”. I discovered Smoke house 101 about five months ago. When I first walked in I was instantly captured by the decor the place had a very welcoming feel to it. As I proceeded towards the counter I was greeting with a genuine “hello” by the young lady making coffee. The menu was somewhat different to what I expected and I was impressed with African Eggs I ordered. My first experience was very satisfying and I was delighted that I had found something local were I could come to some work whilst enjoying a coffee and a bite to eat. Im a regular vistor during the week and have never been disappointed in the food or service. Admittedly there is the odd occasion when it takes a while to get your food, however its well worth the waiting for. I highly recommend Smokehouse 101…The new owners seem to have their finger on the pulse as to were things need to improve and its working as they seem to be getting busy every day. Keep up the great work Smokehouse 101 team…..
I’ve been twice. First time in the evening, food so so and rather overpriced. Lunchtime visit last Thurs left much to be desired. The sandwich was big but very oily/greasy. Two bites and I left the rest. Great coffee though so I have to concur with the earlier comment here – worth visiting for the coffee but give the food a miss. I have started using this place for business catering. They are very accommodating for all types of dietary requirements and help me out when I need something urgently too! 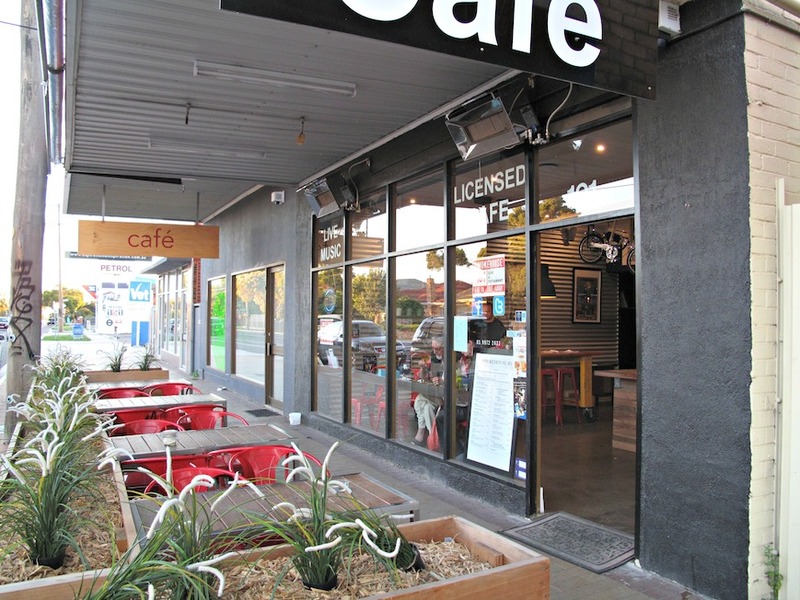 I personally love having breakfast here as the portions are huge and their coffees are the best I have found in the Western suburbs and they’re not exorbitant in price like some places. It will be some time also before I return to this place, and I live 3 minutes walk away! I went for breakfast about a month ago and was very disappointed with the food. But in view of Kenny’s comments here, I decided to give them another go last weekend. For dinner this time. Overpriced food – CBD pricing but without the quality to back it up, and very disinterested staff. Not worth the bother. Have to say I am somewhat in agreement with criticisms expressed here. I went for dinner with my wife after a shopping trip to Highpoint. I could stomach the prices if the food was up to scratch, but it was disapointing – small servings, cold chips, fatty meat. Not a great choice. Add to that, staff who couldnt even be bothered to enquire why our meals were returned uneaten…..
We should have eaten in the shopping centre, much better options there. Staff make all the difference, I have found the boss in this place to be quite nice and welcoming but his young staff let him down. Maybe I am getting too old (47) but I seem to have little tolerance for disinterested youngsters working in hospitality. They are OK in pubs, but close contact cafes and restaurants….Na. Hmm quite a few comments here about this place. Usually I agree with you Kenny and tend to follow around in your wake, but this place is truly awful. I gave it another go last week, was disappointed again. Very mean portions, oily food and indifferent staff. They wont be getting a third chance from me. I dropped into this place by accident one day on my way to Bendigo, and after sitting in chaotic Melbourne peak-hour traffic for nearly an hour, I was rather peckish so decided to drop into this small and somewhat understated place on Rosamond Rd, called Smokehouse 101. Being quite the fan of juicy Texas BBQ, the title got me interested immediately. But looks can also be deceiving so to be honest I wasn’t expecting much, and after eating the real thing in Texas itself many times, it’s safe to say I have a more than fair understanding of what real good Texan BBQ tastes like, and what it doesn’t. After walking in I was politely greeted by the staff, who also introduced me to chef Marty. I simply said, give me a combo of everything, to which he happily obliged. After waiting around 15 minutes, out comes my massive combo of Ribs, Chicken, Brisket, Pork Sausage & Cajun salad. I would never say this lightly, but this was by far the most tender, succulent, juicy & flavorsome meat I can ever remember eating. I didn’t think I’d be able to finish the plate but to be honest, the food was just too good to leave on there, so I ended up happily getting through all of it. Like I said in the title of this review, this BBQ would make the folks in Texas very proud. Get on in there and try it out y’all! We agree, Mike! We went pack a few weeks ago and had very good chicken wings and a real big and meaty full rack of beef ribs that cost an incredible $21. I know Marty has got some grief about service and his place not being like the trendier BBQ joints across the river. But it’s not trying to be like them; it is trying to be more like an everyday BBQ place.